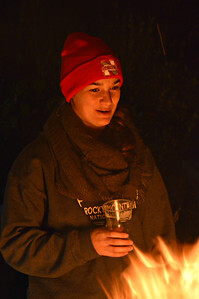 Codi Slayton admires a hand-shaped pumpkin carving. 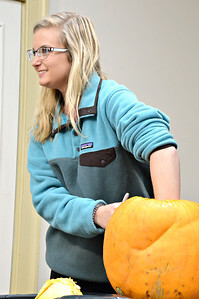 Lacey Warren digs into her pumpkin! 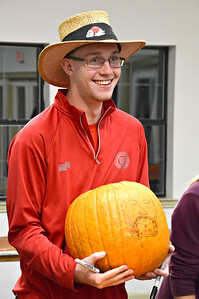 Cory Meigs shows off his pumpkin art to his friends. 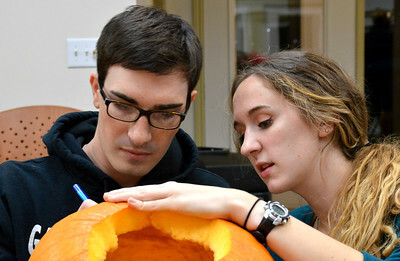 Dalton Meyers and Laura Denman work together to trace their pumpkin masterpiece. Will Marvel can't help but laugh at the pumpkin carving and marshmallow throwing at the Spooktacular Pumpkin Carving Event! 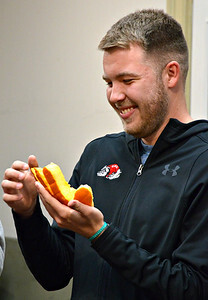 Peden Warlick with a big smile, full of marshmallow. 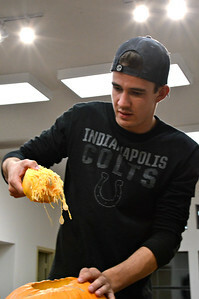 Carey Spratln is focused on his pumpkin, carving it to perfection. 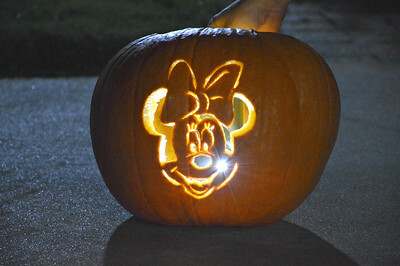 Dalton Meyers and Laura Denman's final product: Minnie Mouse! 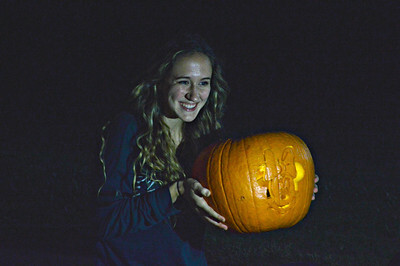 Laura Denman showing off her Pumpkin Carving skills! 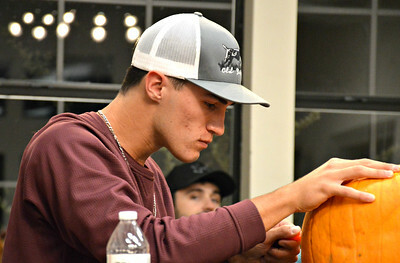 Daniel Graves starting to de-gut his pumpkin. 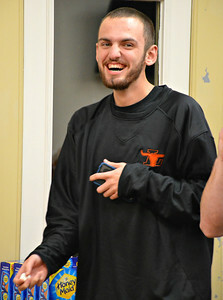 Daniel Graves is all smiles talking with friends and carving pumpkins. 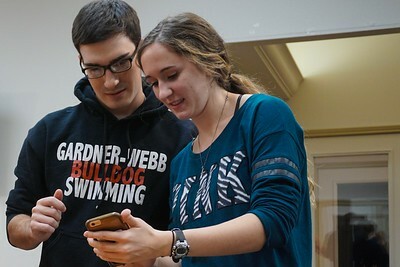 Dalton Meyer and Lauren Denman look at inspiration for their pumpkin-carving. 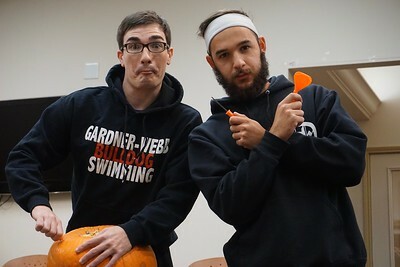 Pumpkin carving can be messy! 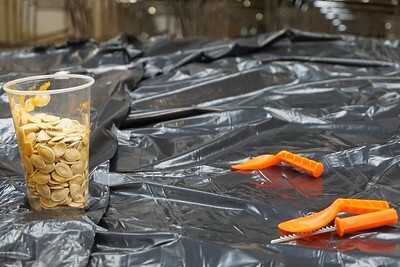 Students collected the pumpkin seeds and "goop" in a cup. 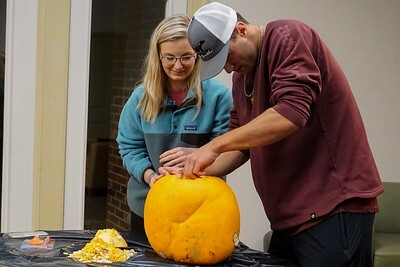 Carey Spratln helps Lacey Warren get started on her pumpkin. 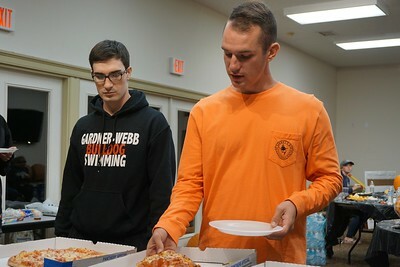 Dalton Meyers and Josh Walston chat as they get pizza. 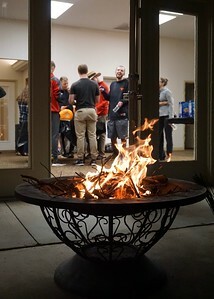 Students carve pumpkins while the fire burns outside, waiting for students to roast marshmallows. 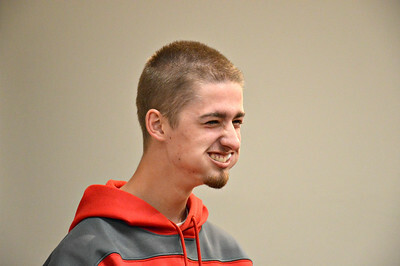 Josh Walston makes a S'more.